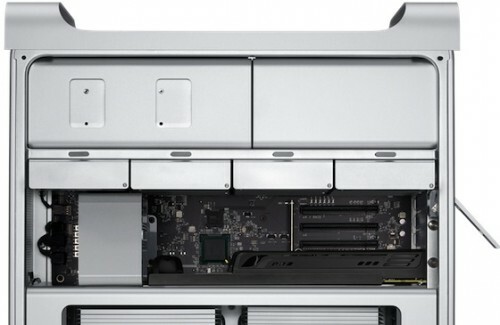 Apple has announced that the new Mac Pro will appear in 2013. It is not known exactly when Intel’s new processors will be available, which leaves the actually launch timeframe in question. Intel’s next-generation Xeon chips are expected to appear at the end of the 2013. "But seeing a 2TB Solid State Drive with an Apple logo on it opens very large ground for speculation. Given that we were not able to learn more about the parts in question, we have to leave it at that. But from the looks of it, the 2TB drives used industry standard 3.5” form factor, full height (just like your regular 3.5” spinning drive) and a SATA connector (not SAS or some proprietary port)." The site notes that if the new Mac Pro will have a design similar to the current model, the device could have a capacity of 8 terabytes of storage per workstation.